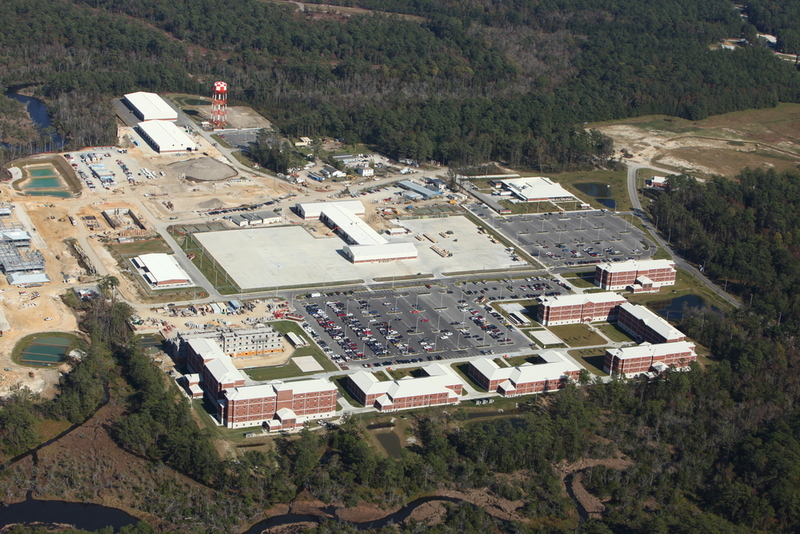 The first phase of the $200 Million, Design/Build Wallace Creek Complex project includes the design and construction of 20 new buildings to support 2,000 marines on 88 acres. 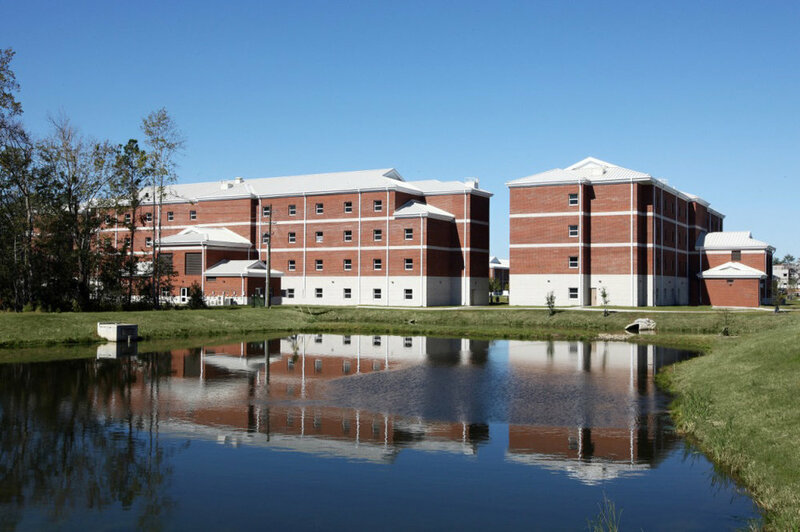 The complex consists of barracks, battalion headquarters, mess hall, armories, motor T, and 1525 POV parking spaces. The project also includes new roads, bridge, water mains, 300,000 gallon elevated water storage tank, sewer mains and a new sewer lift station.